UCSD: California Lung Cancer Death Rate Lowest in U.S. Lung cancer deaths are 28 percent lower in California than in the rest of the country, likely due to the state’s early adoption of tobacco control programs, according to a study published Wednesday by researchers at the UC San Diego School of Medicine. 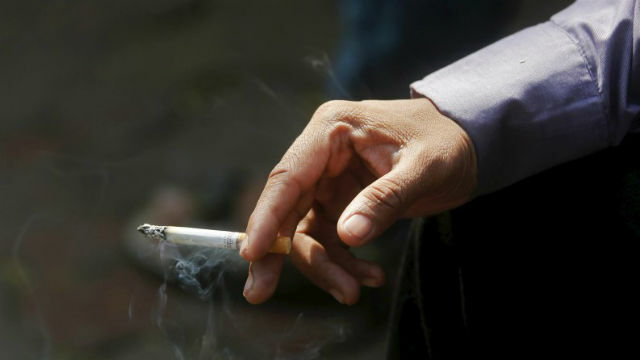 The state government responded quickly and aggressively to early evidence that tied smoking tobacco to lung cancer and enacted policies to combat tobacco-related deaths especially among young people, according to researchers. California also launched the first tobacco control program in the country in 1988, run by the California Department of Public Health. UCSD researchers published their findings online in the journal Cancer Prevention Research. The research team analyzed smoking behavior data collected from 1974 to 2014 in the National Health Interview Survey and lung cancer data collected between 1970 and 2013 in the national Surveillance Epidemiology and End Results program. The sample totaled 962,174 U.S. residents, 10 percent of whom lived in California. Lung cancer mortality rates for Californians age 35 or older declined from 108 per 100,000 people in 1985 to 62.6 per 100,000, according to UCSD Moores Cancer Center Director Dr. Scott Lippman, a decline 33 percent faster than the rest of the country. Lippman suggests that the decline in tobacco- related lung cancer deaths is a direct result of California’s efforts to curb tobacco use. According to the Centers for Disease Control and Prevention, smokers are up to 30 times more likely than non-smokers to develop lung cancer. Researchers advise that the lung cancer mortality rate would be even lower if current smokers cut tobacco out of their lives. UCSD researchers received partial funding from the California Tobacco Related Disease Research Program for the study.